We would like to highlight our longest running specialist, Hugh Hanley. He has been visiting The Tobin School (and its predecessors, The Charles River Children’s Center and South Natick Children’s Center) for over thirty years! That’s a whole lot of songs! 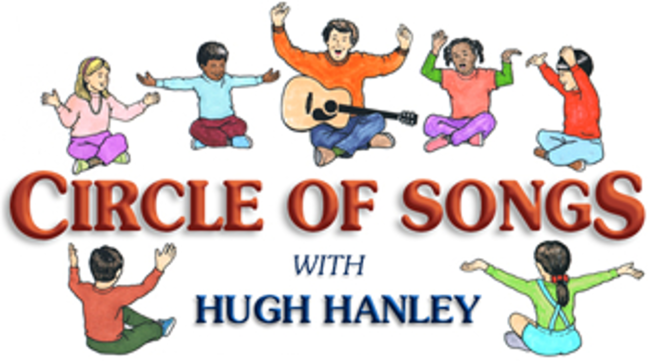 Hugh Hanley is a former Preschool & Toddler teacher and family entertainer who specializes in music and play programs for young children and the adults who sing with them. Hugh lives in Arlington and visit many other early childhood programs, schools, libraries and concert venues, and also tours nationally. Those of us who have been around awhile have even met up with Hugh at national early childhood education conferences where he shares his gifts with others around the country. Hugh is an amazing and sensitive performer, keying in on each child’s strengths, and allowing everyone to feel comfortable singing and joining in. He has produced a CD/Songbook series and produces and hosts Songs from the Circle, a televised singalong series that airs on Arlington’s community access station. You can find out more about Hugh and his work here.